Despite the importance that the title places on the number of men in this true story, 12 Strong is a fat, lazy film that incorrectly lets its gaze look at the events from long distance instead of focusing in on the people carrying out the actions. There are decently covered action sequences – although they too, like the heroes, are completely forgettable – and a few fleeting seconds of welcomed comic relief soften things up a bit. It even tries (and admirably fails, I might add) to give the enemy a bit of humanity. But where 12 Strong goes so wrong is in its treatment of people worth knowing. In this movie, there’s hardly a difference between these brave American soldiers and the bullets in their magazines. What’s inside counts, unless of course there’s nothing there worth adding up. It’s immediately post 9/11 in Afghanistan. 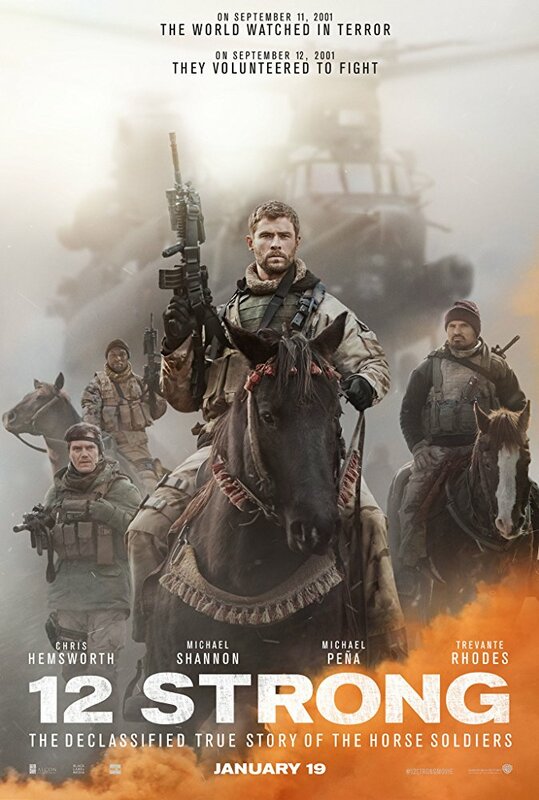 Captain Mitch Nelson (Chris Hemsworth) and his team join local forces to fight the Taliban, riding through mountains on horseback and dropping bombs on the bad guys from 30,000 feet in the air. I’d say more about the plot if there were any additional tidbits actually worth being noted, and that’s because 12 Strong really is just a simplistic and shapeless mess. The men fight, they show bravado, and then they exit the frame and out of our minds altogether. While it’s too long and a bit too easy to mindlessly sit through, it’s also one of the most impersonal true stories that I have seen in a very, very long time. 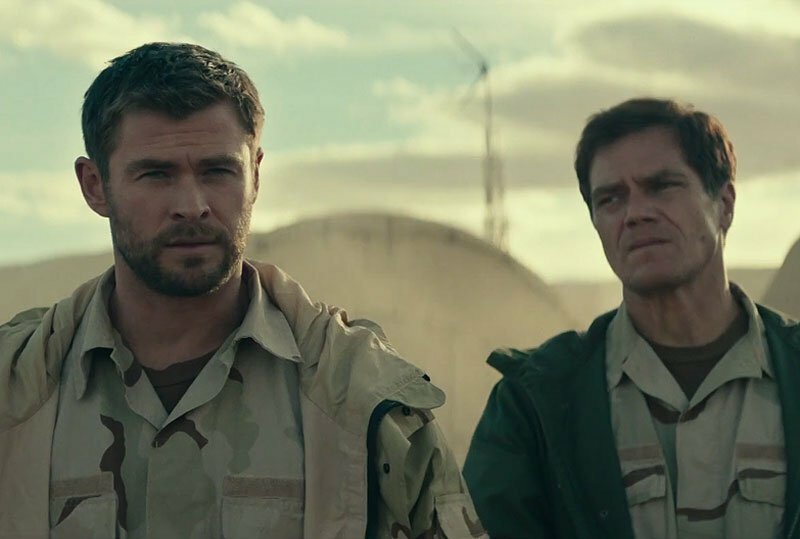 12 Strong feels like an account given by an outsider, or by an incoherent ghost from the past. The most detail we get into Mitch’s life is that he used to ride horses when he was young and that his father could dole out a good whooping. So could Sam Diller’s (Michael Pena) dad. Sam was a history teacher who got in trouble and opted to serve his time in the line of duty rather than behind bars. That’s the extent of what I remember – and that I think we’re ever told – about the personal lives of these men, risking life and limb to cut off Taliban supply lines. Only two characters even attempt to have complete arcs. That’s the sign of writers who enjoyed the material but didn’t connect to all of the people who lived it. 12 Strong utilizes bombastic set pieces instead of riveting action, bland scenarios rather than inspired situations, and fills the screen with a rapid heart in place of a calm mind. It’s a film with no fingerprints and far too many low-level twins. 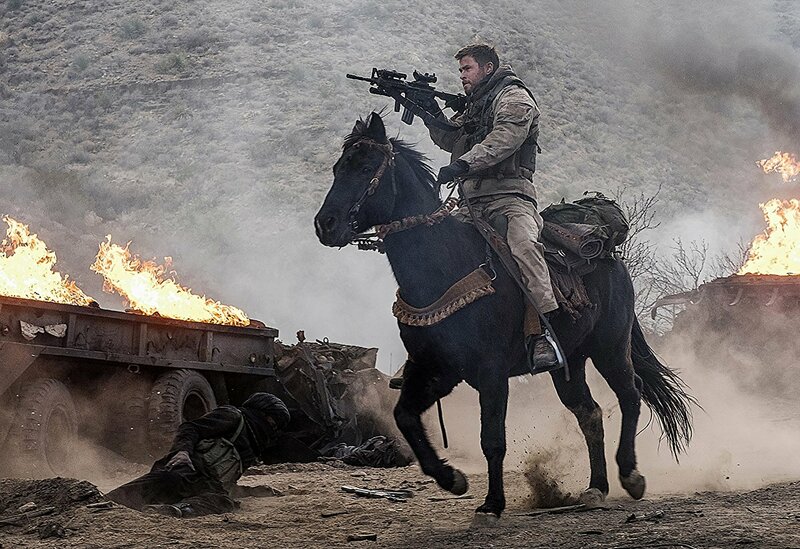 I find it funny that early on we hear the line, “the most important thing a man can take into combat is a reason why,” and how from there on out Nicolai Fuglsig’s 12 Strong completely disengages with its proclaimed sense of integrity and meaning. Why are they there? Why the horses? Why not develop the characters into real men? 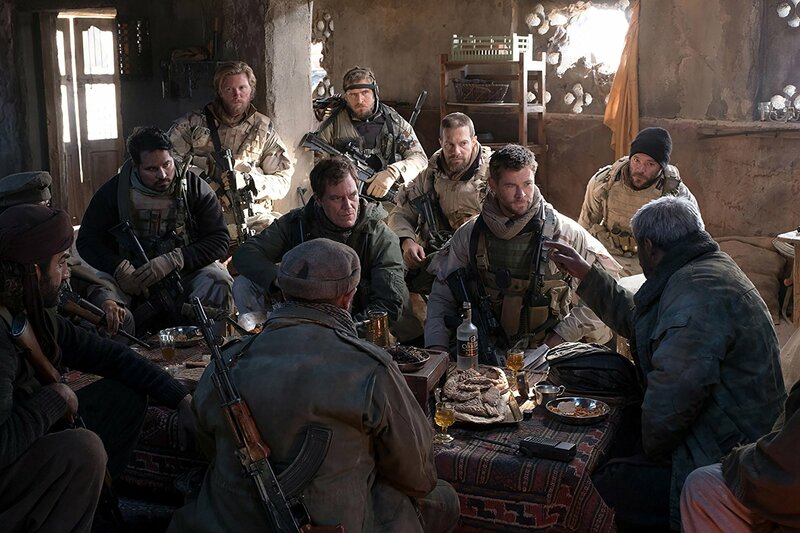 12 Strong has a fantastic cast that’s been left out to dry by a script with no depth, wasting their time and ours on a film that literally has nothing memorable to say by means of dialogue or visual discourse. Watch a child play with toy soldiers for a few minutes and you’ll experience the kind of over-the-top excitement, personal style, and a genuinely more impressive sense of empathy than 12 Strong exhibits over its exacerbating 129 minutes (It’s just barely better than 2016’s 13 Hours, a film that’s darker and longer and even more incoherent). Decent performances and strong production value can’t save this one from going AWOL.